Note, this article was previously published at https://www.solarpowerauthority.com/home-solar/ma/ that article has been updated and refocused, visit the page to learn more or read on for older resources. Recently, in November of 2007, Massachusetts passed the Green Communities Act of 2007, which aims to give incentives to private citizens, businesses and corporations, and municipalities to invest in energy-saving technologies like solar-power. Under this bill, the Department of Clean Energy was also created, which was formed to oversee the success and continuation of the ideas set into motion back in 2007. MassSAVE, which deems itself “a residential conservation services program administered by Massachusetts electric companies, gas companies and municipal aggregators,” proffers a nice incentive of 0% interest financing to aid private consumers in increasing the energy efficiency of their houses. This HEAT Loan Program is up for grabs to any residential customers who live in a 1-4 family home, who purchase the power for their house from one or more of MassSAVE’s participating companies, and who, through the MassSAVE Program, go through a Home Energy Assessment. If customers pass these requirements, they can choose one of two options; either applying for a no interest loan, or receiving various (applicable) MassSAVE Program Rebates for whatever system the customer has installed in their domicile. These loans can range from two to ten thousand dollars up to ten years. 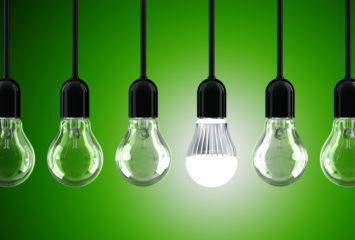 The HEAT Loan specifically declares solar hot water systems as eligible, but also addresses these other energy savers as loan-eligible: Attic, Wall, and Basement Insulation, High Efficiency Heating Systems, High Efficiency Domestic Hot Water Systems, Energy Star® Windows, and Energy Star® Thermostats. Finally, these energy-efficient improvements must be at or beyond efficiency standards set forth by the MassSAVE Program, and personal or “DIY” installations of these improvements will not qualify for the loan. Commonwealth Solar began at the beginning of 2008 by the Massachusetts Technology Collaborative (MTC); it is a four-year, 68 million dollar program that tries to encourage installations of solar or photovoltaic (PV) systems across the state of Massachusetts. 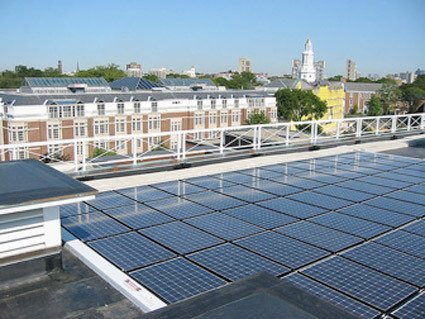 Of the 68 million dollars that came jointly from the Massachusetts Renewable Energy Trust ($40 million) and the Alternative Compliance Payment from the Massachusetts Department of Energy Resources ($28 million), the program intends to save 16 million dollars to fit Massachusetts public buildings with solar power and at least 8 million dollars is to be saved for photovoltaic installations on homes. Massachusetts predicts a total of 27 megawatts in photovoltaic projects to be completed over the four-year period. Commonwealth Solar offers rebates “for the installation of grid-tied photovoltaic (PV) systems at residential, commercial, industrial, institutional and public facilities.” The size of these rebates depends on the size of the photovoltaic unit or system in question, but other aspects of the individual project may also affect the amount of the rebate. Minimum size of the photovoltaic project is 1 kilowatt (DC). Rebates are limited to 100% of total installed costs or on a max system size of 5 kilowatts (DC) even if the system exceeds that size. An energy-efficiency audit is strongly suggested when installing these systems. With Chicopee Electric Light, customers (residential) who take the initiative to install solar photovoltaic systems on their homes or garages can get rebates for their energy-efficient actions. These residential customers are able to receive rebates at $2.50/watt, maxing at $5,000/installation. Rebates are also capped at the first 15,000 watts that are installed each year. National Grid (residential) customers who utilize specifically eligible SHW units may submit an application for a rebate that cuts fifteen percent off any solar system project expenses. This rebate maxes at $1,500 for solar water-heating systems. There is one extra requirement: National Grid asks any residential customers who apply for the rebate to disclose their personal water heating usage data for one year for data and survey purposes, if they wish to get the rebate. HBS Shad Hall PV- 36 kW, 192 panels. Installed in 2003. Harvard Forest PV- 10.2 kW, 60 panels. Installed in 2007. Science Center lamp- 2kWh of electricity per day. And to make sure that Harvard ranks #1 among universities buying renewable energy resources, the president of Harvard recently set forth a three hundred thousand dollar Renewable Energy Fund to help the university make leaps and bounds when it comes to decreasing their carbon footprint on the world. There are many businesses that sell solar energy systems and products in Massachusetts, and we have included several of them below. To add your listing or update information please contact us. This article originally appeared at Solar Power Authority.